During the past 24 hours, reinforcements of Russian-terrorist troups arrived through Amvrosiivka and Starobesheve to Donetsk to make up for the losses incurred by the enemy in the course of armed fights at the Donetsk airport (DAP), the village of Pisky, the vicinity of Spartak and the Putilovskyi Overpass. In particular, two tank units (overall, 12 tanks and mobile repairshop) and several “infantry” units were transferred in. 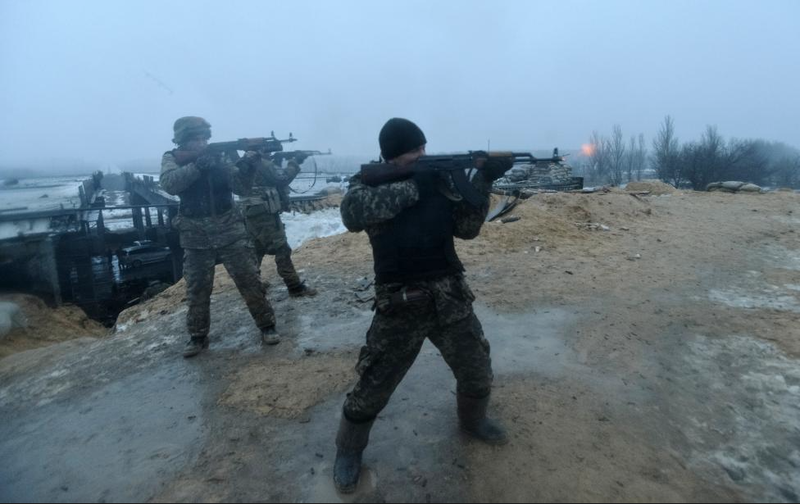 Fierce fighting continued in the vicinity of Checkpoint #31. The enemy brought in a considerable amount of artillery –at least two artillery groups were observed (overall: up to 25 units of cannon artillery, mostly 122 mm D-30 howitzers, and up to 10 units of MLRS). These artillery groups carry out fire strikes on Ukrainian units not only at advanced positions, but also inside their combat formations. In addition, enemy artillery attempts to prevent the arrival of Ukrainian troop reinforcements and logistics units into the area. Enemy attempts to conduct artillery reconnaissance have also been observed (primarily to determine data for artillery fire strikes on Ukrainian troop command posts, logistics and communications units). Near Mariupol, the enemy inflicted a series of massive fire strikes onto the forward positions of Ukrainian troops (the district of Talakivka, Pavlopil, Sartana). 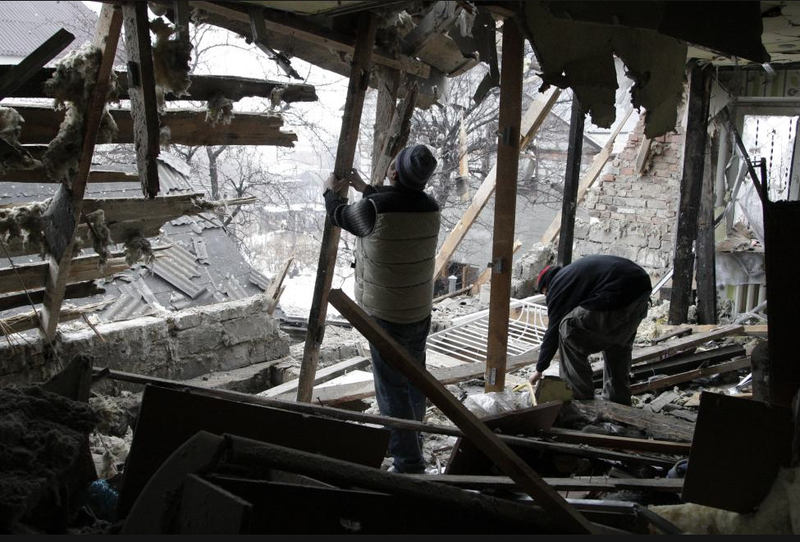 These attacks were made in order to cover the regrouping of Russian-terrorist units towards the Mariupol direction. Advanced enemy groups have significantly reinforced with both manpower and combat equipment. The action of at least 10 insurgent tanks were observed directly at the forefront in this area. The movement of enemy armored vehicles into the first lines [of the front] continues. 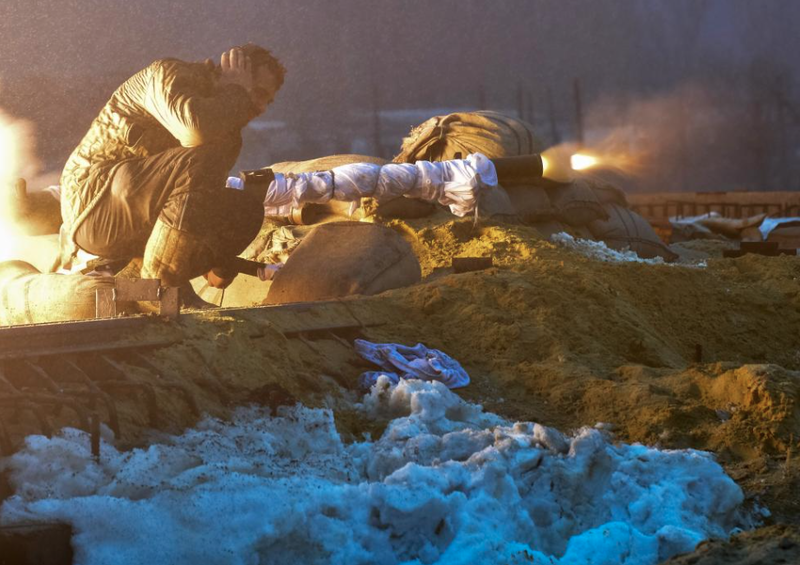 In the vicinity of Hranitne – Telmanove, as well as Dokuchajevsk – Olenivka, the enemy continues to concentrate new formations (staffed with both local insurgents, and Russian Federation soldiers disguised as insurgents). Between Telmanove and Hranitne, at least one enemy company tactical group (CTG) is operating, which received reinforcements a few days ago. 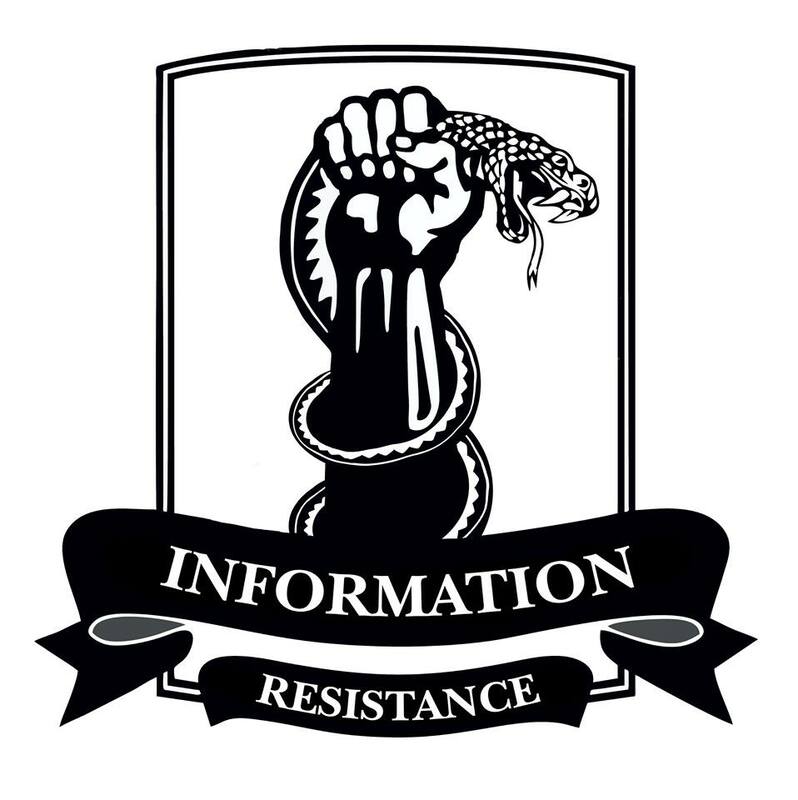 In the vicinity of Dokuchajevsk, a combined battalion tactical group (BTG) has been observed; it was formed from the remaining members of the “Kalmius” gang, some [members] of the “Oplot” gang, and Russian mercenaries. Convoys with wounded insurgents and terrorists continue to arrive at Russian-terrorist forces’ “transfer” medical stations near Khartsyzk and Torez. Over the past 24 hours, at least five of these convoys have been observed. These stations perform “sorting:” the seriously wounded get sent to Russia (Rostov-on-Don), and the rest [of the forces] get treated at general civilian medical institutions in Donbas, where, according to terrorist leadership, there is a shortage of qualified medical personnel and medications, as well as specialized medical equipment needed to treat combat wounds.